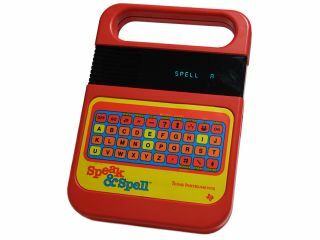 Texas Instruments' Speak & Spell is one of the 97 toys sampled. The Electric Toy Museum is a new sample library for Univers Sons' UVI Workstation. This enables you to recreate the sounds of all those wonderful bleepy playthings that you tinkered with in your youth. The library emulates 97 vintage musical toys - it contains 14,000 samples and more than 1000 presets. All the sounds were captured at 24-bit/96kHz; there are multi-sampled patches and sliced loops (these will sync to your project tempo). The sounds are divided into ten categories: Children, Developed, Drums & FX, Mini Sampler, Musical Toys, Organ Basic, Silly, Small, Speech and Style-o-phone. Many fondly-remembered devices are included - check out the video on the UVI SoundSource website for details. Electric Toy Museum is available now for $249. It ships with the full version of the UVI Workstation and is also compatible with Motu's MachFive 2.